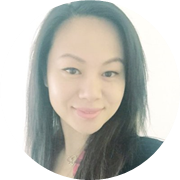 Betty has over 16 years of extensive professional experience in risk, audit, compliance and operations in US, Europe and Asia regions. In her current role, Betty is responsible to lead a global team to provide risk guidance to improve process efficiency and effectiveness and mitigate risks within the General Counsel’s Organization (GCO), Human Resources (HR) and Corporate Affairs & Communications (CA&C) organizations and lead Center of Excellence (CoE) teams to manage risk issues and provide risk data analytics and reporting to management. Since joining AXP in 2008, Betty has been responsible for developing, implementing and managing critical components of the Operational Risk Framework. Prior to her current role, Betty was the Regional Head of Compliance in China guiding Amex prepaid business to execute its compliance program. Betty is a highly motivated individual with demonstrated ability to drive results and a solid track record of building trusted relationships with business partners and colleagues. Prior to joining American Express, Betty held several senior auditor positions in the banking and entertainment industries. Betty earned her Master of Science degree in Risk Management for Executives from New York University (NYU), Leonard N. Stern School of Business in New York. She is also a Certified Internal Auditor (CIA) and has achieved her certifications in Control Self-Assessment (CCSA) and Risk Management Assurance (CRMA). Betty also enjoys international travel, modern dance and museums. Check out the incredible speaker line-up to see who will be joining Betty.